Home > Tom Barefoot's Tours - FAQ's > Is Atlantis the same company that operates in the Caribbean? 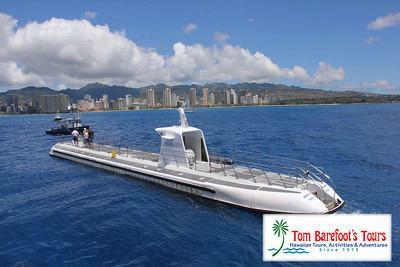 Is the Atlantis Submarine in Hawaii the same company we went with some years ago in Barbados? Yes it is! Atlantis Submarines International is a company that has been around since 1985 and has locations not only in Hawaii but also in the Caribbean at Barbados, St. Thomas, Saint Martin, Grand Cayman, Curacao and Aruba as well as Cozumel in Mexico and Piti in Guam. Atlantis is well known as the world leader in submarine based tourism.